Smart Search: Type the name of a Vegetable or an Ingredient in the above search box and find all relevant Recipes !!! Observe the sticky liquid (SONA IN TELUGU) flowing from the mango which has to be cleaned. Fill water in a bucket. Remove the stems (Muchhelu in Telugu) attached to the mangoes as shown in the movie. Observe the sticky liquid (SONA) coming out. Drop the mango in the bucket. Like this remove the stems of each mango and drop it in the bucket. Let the mangoes soak in the water for half an hour. Then wash the mango thoroughly by rubbing between the palms. Washing this way removes the sticky liquid from the mangoes. Take them into a tub or a big bowl. Take a clean and dry cloth and wipe each mango thoroughly. Spread the wiped mangoes on a clean cloth. Like this wipe all mangoes and dry them in shade for 10 minutes. Take a clean and dry scraper and peel the mangoes. Take a clean and dry chopping board and a knife and cut the mangoes into finger length pieces, discarding the seeds. Take theses cut mango pieces into a deep bowl. Add the turmeric powder and salt. Mix well till your fingers are wet. The sour mangoe pieces when mixed with salt ooze moisture. Take a clean and dry jar and transfer the salted, turmeric coated mango pieces into it. Cover and keep this jar aside at a dry place for 36 hours. Do not cover the jar tightly. After 36 hours of soaking, bring out the jar. Take a dry, deep bowl. Pour the contents of the jar into the bowl. Observe that there is lot of liquid oozed from mangoes. Take handful of mango pieces between your palms and squeeze to remove water as much as possible. Like this separate the mango pieces from the liquid by squeezing. Collect the liquid into a clean and dry bowl and cover it loosely. On the terrace, under the direct sunlight, spread a plastic sheet. On the plastic sheet spread the mango pieces in a single layer. We need to sundry the mango pieces. During peak summer season sun drying the mango pieces for one day will be sufficient. If you desire to dry the mango pieces for more than one day, re-soak the dried mango pieces in the liquid overnight. Again the next day squeeze the mango pieces and dry them under direct sunlight. While the mango pieces are drying, we need to do some preparations. Take oil in a bowl and heat it on low flame for 15 minutes till smoky. Then switch off the stove and cool the oil to room temperature by keeping this bowl aside. If required to add additional oil, always remember to heat the oil and then cool it completely to room temperature before adding to the pickle. We need to prepare the fenugreek powder. Heat a pan and add the fenugreek seeds. Roast the seeds on low flame stirring all the while. Stir fry till the seeds turn dark brown in color. To test the doneness, crush a roasted fenugreek seed with a stone or a heavy thing. If the color of the inner portion of the seed is also dark brown like the outer portion, that means the seeds are roasted to right texture. Take the roasted seeds from the pan into a plate and set aside to cool a bit. Take a dry mixie jar and add sufficient quantity of roasted seeds and grind them to a fine powder. Do not sieve the powder—let its texture be slightly grainy. Measure this powder and keep it aside. After 5 hours bring the bowl in which we have kept the oozed liquid and let it cool. After 7 hours observe that the mango pieces are sun dried nicely with salt getting deposited on them. When we try to break / cut a mango piece and it should break / cut easily. Take a dry deep bowl and add the dried mango pieces. To the mango pieces add the fenugreek powder and chili powder. Mix all well with hand. After mixing properly add the liquid and mix again. Now add the cooled oil, which we have kept aside and mix well. After sometime observe that oil separates from the mixture. Now prepare the seasoning. Heat a pan and add oil to it. When oil is hot add fenugreek seeds and mustard seeds. Fry till the fenugreek seeds change color and mustard seeds splutter. Then switch off the stove and add red chilies and asafoetida. Mix well and enjoy the sweet smell of asafoetida. Mix this seasoning in the prepared pickle. Mix well and then transfer the prepared pickle to the jar or bottle. After some time observe that the oil forms a layer above the pickle and if it doesn’t form a layer add some oil on top of the pickle. Remember to heat oil and then cool it completely before adding to the pickle. Now the pickle is ready to use. For daily use, take a small quantity of pickle into a clean and dry jar. Avoid using the main pickle jar for daily use. Presuming one raw mango weighs 250gms, we get approximately 215gms of mango cut pieces. It is advisable to base all our calculations on the mango pieces. Take firm and big mangoes. It is necessary that the mangoes are raw and creamish in color when cut. The mangoes should taste sour. The taste of this pickle is proportional to the sourness of the mangoes. When the sour mango pieces come in contact with salt they ooze out water. That water helps in making the Masala moist in the pickle. However, when water oozes out there are chances of it spoiling the pickle. So the salt we add saturates the water and also acts as the balancing ingredient to the sourness of mango. It works as a preservative for the pickle. If the sourness is too high, you may need to add extra 5 – 10 grams of salt for 215gms of mango pieces. If they are not that sour you may reduce the quantity by 5gms. In any case ensure that the salt content is not less than 50gms for 215gms of cut mango pieces. Check, preferably after 96 hours before deciding to add more salt. The salt which I have used is table salt. Nowadays table salt is available in various variations and the manufacturers are adding additional chemicals to make it free flowing. Similarly instead of Sodium salts, Potassium salts are also marketed. Unlike in the past, the saltiness of each salt is differing. The base standard is always sea-salt which has almost become extinct in the market. For 215gms of Cut and cleaned mango pieces, the base sea salt requirement is 50gms only. In my video, I have shown the table salt which I have used. My observation in the kitchen is, Potassium salts are less salty compared to Sodium salts and I need to put relatively large quantities of Potassium salts while cooking. With Pickles I didn’t want to take a chance, for which I have used the regular Sodium table salt with which I am comfortable with. Salt is a crucial component in pickling and one has to be imaginative to deal with the practical problem. For the novice, I can suggest to add 50gms of salt and progressively increase it, depending upon the taste and smell coming out of the pickle. Take some pickle in a bowl and add some curd and mix well. This instant MAAGAYA PERUGU PACHHADI tastes excellent with dosa’s and Idli’s. Adding few chopped coriander leaves to this perugu pachhadi gives another taste to the same dish. Some people put one or two seeds also in the pickle. As children, it used to be a trophy, if we were to get one during its serving. Avoid putting more seeds. Husked Gingely Oil is preferable depending upon availability reliability. Sometimes we find gingely oil adulterated with Til oil which leave a slight bitter taste in the pickle. Use any other refined oil locally available if you are not sure of availability of Gingely Oil. While frying the Fenugreek seeds, take care not to burn them. Once you feel that the Fenugreek seeds have been fried adequately, don’t forget to remove them from the vessel in which they have been fried. If you forget they would get burnt with the residual heat in the frying pan. Don't close the pickle jars tightly. This allows evaporation (not seen to our eys) to take place from the pickle. After a month close the jars tightly. Attempt to taste the pickle after 15-20 days. If tasted before it may appear that salt is more. 19 Recipes you may also like to watch. 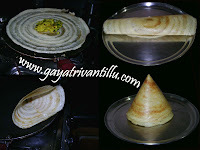 Click here to participate on the Blog Discussions and make GAYATRIVANTILLU content richer!!! Your website is excellent and I have tried making few pachadi's using your method. I had a question about the Maagaya ,that I recently made follwoing your method. My dried mango pieces are still hard ,even after adding all the sesoning and oil. Please suggest waht can I do to make it softer,now that I have added even the oil to the pickle. I have seeen some people adding hot water to the sun dried mango pieces to make it soft. I wasn's sure if I should add the hot water now,as the dry mango peices are coated with oil. Please suggest to fix this pickle . I dry the Mango pieces for one day in peak summer sunny day. If it is cloudy I may dry them for the next day. Therefore the mango pieces would not be fully dried or dehydrated completely so as to become crispy. You may wait for a few days and check your magaya pickle. Hopefully the crispy mango pieces would soften after being soaked in the Oil. home. My medium of education is Telugu. introduce your site to many of my friends. gayitri garu,your site is brilliant for people like me who are new to cooking,i love ur site,i prepared many recipes looking at ur site and vahrehvah site,gayitri garu can u please tell me how to prepare mango pickle and cabbage pickle,i am in uk and here getting our pickles is hard,i want to prepare them.please can u let me know thankyou. My name is sandy i lilke ur recipes. I am following your site regularly. Really Detailed and Clear description is given, very helpful for beginners to learn. Thank you very much, now i dont have to starve thinking cooking is difficult. Ur recipes have our Andhra Nativity.. Really good. 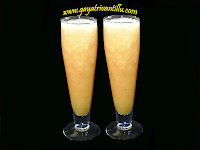 I am happy that finally there is a site for our most delicious recipes of Andhra. Thank you very much. and, we can anthe naaa...idi challa easy, kavali ante gayatri garu ni adagandi....!!!! u r simply fab! i jus lov ur idea of making videos in telugu!!! ur website makes us feel at home. keep up the excellent work! This site uses Google Analytics & Adsense and collects information about your visit .